Creso Pharma Limited (ASX:CPH) has today informed the market of its commitment to expand the commercialisation and distribution of anibidiol®, its CBD-based complementary animal feed product. These plans come on the heels of the product’s successful launch in Switzerland in November 2017 — which it conducted with animal pharmaceutical giant Virbac Switzerland — resulting in early revenue for the company (already banked) and generated positive feedback from customers and veterinarians. CPH is now in the process of planning the commercialisation of the anibidiol® range across global markets in CY2018 and beyond. This product expansion will involve tapping into the significant US$9.8 billion global companion animal market. Managing Director of Virbac Switzerland Rolf Heeb commented on the news: "We have been assured by the interest from vets that it was the right move and the right time to launch anibidiol®. There has been great interest from both vets and pet owners since its launch." According to CPH’s announcement, the global animal health market is valued at US$30 billion and is projected to continue to grow at a fast pace; with 41 percent of pet owners considering or trying out various alternative therapies for their pets. CPH is in the process of expanding the anibidiol® range through the development of additional lifecycle products for companion animals. 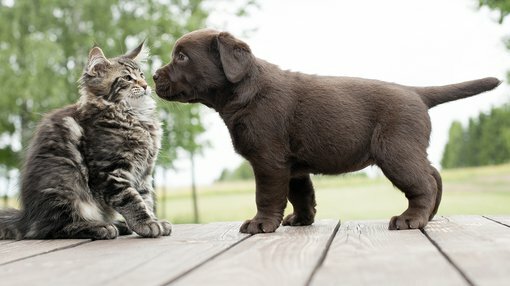 It plans to team up again with Swiss pharmaceutical animal health company Virbac for further launches in Switzerland in 2018.
anibidiol® is a natural complementary feed for pets which contains full spectrum hemp extract with cannabidiol (CBD), the non-psychoactive substance of the hemp plant, as well as hemp seed oil. anibidiol® is a proprietary product which combines not only CBD, but fatty acids Omega 3, Omega 6 and Omega 9, as well as terpenes, flavonoids, and other active herbal ingredients. The product’s ingredients interact in a complex way which, in the words of the company, “enhances their overall health-promoting effect”. anibidiol® is the first Swiss Agroscope conformed complementary feed for companion animals that contains natural hemp extract with CBD and is THC-free.